I was driving south of the river this week and came to an intersection where this farm is located. It is such a beautiful area with the rolling hills of corn, and the red barn in the background just made for a perfect photo. 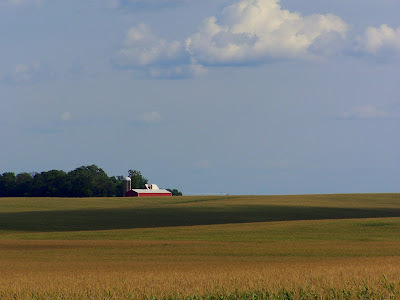 Why is it that there is just something about farmland that is just beautiful….do you have to be from the Midwest to appreciate something as simple as this?